As our nation’s policy makers and health care providers debate the future of health care reform, ALTA and Kaiser Permanente are working together to improve the quality of care for ethnic minorities and multilingual patients. Having recently been recognized with an award for Innovation in Multicultural Health Care from The National Committee for Quality Assurance (NCQA), ALTA and Kaiser are pleased that their language testing program is making a positive impact. The award recognizes the Clinician Cultural and Linguistic Assessment for, “effectively and compassionately addressing race, ethnicity, and language proficiency in the delivery of quality, cost-effective services,” (Robert Ross, CEO of The California Endowment). The Clinician Cultural and Linguistic Assessment (CCLA) is a tool developed by Kaiser Permanente and administered by ALTA to determine the level of target language proficiency of bilingual physicians. The CCLA is designed to assess target language communication (speaking, reading, and listening comprehension) between doctors and patients in a linguistically accurate and culturally sensitive manner without the use of an interpreter. The CCLA is the first and only validated and reliable language assessment tool of its kind, and sets a standard level for effective communication in a medical setting. The results are used to match patients with physicians who are fluent in their language. ALTA, a national leader in language testing, has administered the assessments for Kaiser Permanente since September of 2007. Recognition of the ALTA-administered language assessment comes as U.S. health care providers increasingly face the challenges of linguistic diversity. A study conducted by The Institute of Medicine recently found that ethnic minorities tend to receive lower quality health care than non-minorities, even when factors such as insurance status and income level are controlled. 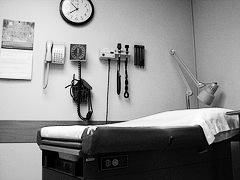 Kaiser developed its language assessment program to remedy this situation as the number of ethnic minorities in need of health care is likely to increase in the coming decades. According to NCQA president Margaret O’Kane, “one in five Americans speaks a language other than English at home…it’s imperative that health care reform efforts address the impact of disparities on the quality and cost of U.S. health care.” In addition, a 2005 study conducted by the National Alliance for Hispanic Health found that the number of elderly Spanish speakers in the U.S. will climb to 13 million by 2050, even as the U.S. Census Bureau reports that latinos 65 years and older are projected to outnumber all other elderly minorities by 1 million as soon as 2030. The CCLA is offered in Spanish and 13 other languages.